Gottwut are a Russian industrial metal band and this is their debut album. Taking influence from bands like Rammstein, KMFDM, and Nine Inch Nails, Konglomerat is an enjoyable manifestation of these various influences. Rammstein in particular seem to be a prime influence on the band’s music, but don’t make the mistake of thinking Gottwut are purely clones. 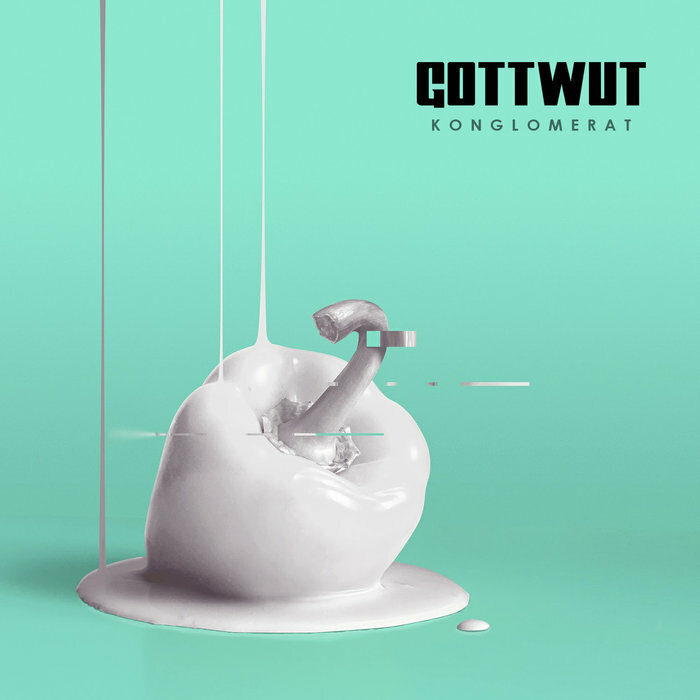 There is a hefty influence, of course, but in my opinion there’s still enough of Gottwut’s personality here to justify this album’s existence. With character and good songs, this album is an endearing tribute to the band’s formative influences, while still offering an enjoyable experience for its listeners. Yes, although I’m sure that Gottwut are destined to be written off as a Russian Rammstein by many, the truth is that although Gottwut obviously have a huge debt to that band for their sound, there’s more than just that here. Gottwut are skilled and talented at what they do, and know how to write a good tune. Atmospheric, energetic, and quite anthemic in places, the songs on Konglomerat are well-constructed examples of driving, beat-driven industrial metal. It’s well-recorded too, with a professional production that hammers everything home with force. I like the weight that the guitars have. The singer has a very good voice, whether he’s barking out from the music or softly singing. Whatever he does, I like his performance a great deal. I enjoyed this very much. Check out Konglomerat and see what you think. This entry was posted in Metal and tagged Gottwut, Industrial, Industrial Metal, KMDFM, Metal, Nine Inch Nails, Rammstein. Bookmark the permalink.